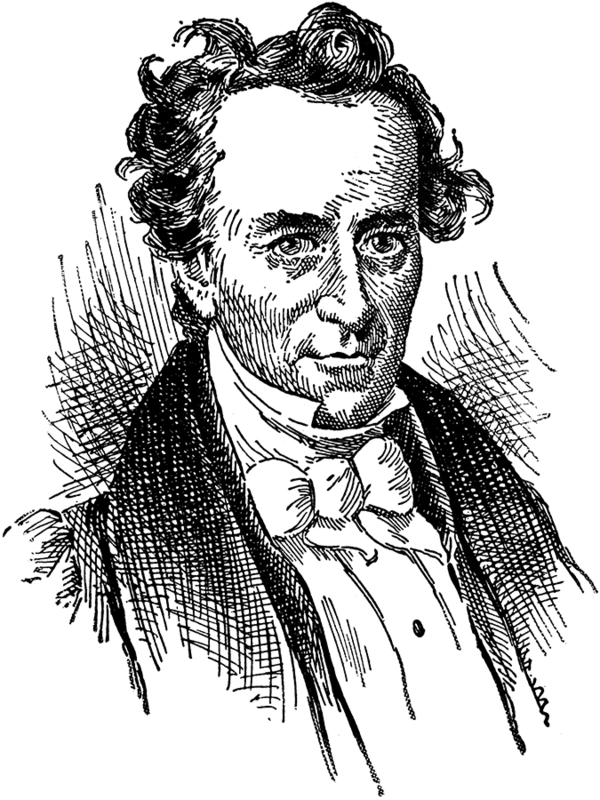 Stephen Fuller Austin is universally regarded and largely revered as the Father of Texas. After his success in establishing Texas as a state within the Republic of Mexico and bringing in hundreds of American colonists, he later played a pivotal role in the triumphant drive for Texas independence. Austin, the state’s capital and the center of commerce, education and culture, is named in his honor, as is Stephen F. Austin State University in Nacogdoches. In recognition of his heroic efforts, the grateful citizens of the Lone Star State placed a life-sized marble statue of Austin in the National Statuary Hall of Fame in the U.S. Capitol well over a century ago. What’s not so well known is that Austin had a rather checkered past before landing on his feet in a Mexican province known as Tejas in 1821. Born in Virginia and educated in Connecticut and Kentucky, Austin wound up in the Missouri Territory’s southeastern region, where his father owned a lead-mining operation. In addition to managing that venture, Austin worked as a shopkeeper and also served as a director of The Bank of St. Louis. Beginning at the tender age of 21, he put in six years with the territorial legislature which convened in St. Louis. The Panic of 1819 left him broke, and he moved south to the newly created Arkansas Territory. Eager to make his fortune, Austin promptly entered the business of land speculation, first along the Red River near a new town named Fulton in the south central region of the Arkansas Territory. Although platted on the direct route “to the extensive and fertile province of Texas” (as newspaper advertisements boasted), the effort proved to be another failure. Austin then enlisted with a group of enterprising men interested in moving the territorial capital from Arkansas Post to a more central location. Among his associates was the former cashier of The Bank of St. Louis (which had collapsed) who conveniently happened to possess three unredeemed New Madrid Land Certificates issued by the U.S. government to settlers uprooted by the infamous earthquakes of 1811-12. Their bold scheme was to use these certificates to claim property at a prominent Arkansas River crossing known as “the little rock.” Unfortunately for Austin and his cronies, their lawyer – a recognized scoundrel but unsurpassed litigator – tried every legal maneuver in the book but was unable to sway the territorial superior court. Their dubious claim to the town site, soon to be known as Little Rock, was dismissed. Yet Austin’s adventures in Arkansas were not over. This fledgling territory had an opportunity in 1819 to send a delegate to Congress. Austin filed for the position, but for some inexplicable reason, waited until six weeks before the November 20 election to do so. Despite the late start to his campaign, he lost by a mere 58 votes. Austin soon moved to Louisiana before heading for Texas where the rest, as they say, is history. But back to that election… Had 30 voters been persuaded to cast their ballots the other way, Austin would have journeyed to Washington, D.C. as the first official representative from the Arkansas Territory. Given his lofty personal ambitions, he might well have gone on to serve as an Arkansas governor or U.S. senator – or both, never making his way any further southwest. Were that to have happened, one could reasonably argue that today’s U.S./Mexican boundary might not follow the Rio Grande, but instead could be found several hundred miles to the northeast at another border crossing known as Texarkana.